A new investigation into the privately-funded CPRIT Foundation draws the organization back into scandal, as the Foundation announces its closure in 60 days. The CPRIT Foundation announced on Monday that the organization currently has just $285,457 left in its coffers, as it prepares to close down within 60 days as a result of a fresh probe launched against the organization by the state Attorney General’s office. Jennifer Stevens, executive director of the Texas Cancer Coalition — the CPRIT Foundation’s current operating title — was quoted as saying that “At this point, the mission of this organization is to dissolve and go away,” and that the decision was a direct result of the new investigation. Over the course of its existence, the CPRIT Foundation raised $3.6 million dollars from private donors in an effort to supplement CPRIT executives’ salaries in order to remain commensurate with what they would normally earn in the private sector. However, the fact that about a third of the monies raised came from pharmaceutical and biotechnology firms or their foundations became a rising concern for investigators looking into the state-funded CPRIT and its funding missteps, leading to increased scrutiny and now a formal investigation. Investigators will be looking into whether the CPRIT Foundation’s donors fed money into the private side of the organization in order to influence state-funded CPRIT grants. While the results of that investigation are still pending, the CPRIT Foundation’s reluctance to reveal its donors in the height of the state-run CPRIT investigation led to increased suspicions of wrongdoing. In its final months prior to the announcement of the investigation yesterday, the CPRIT Foundation worked to restore its reputation and reestablish itself as a participant in the organization’s reform efforts. 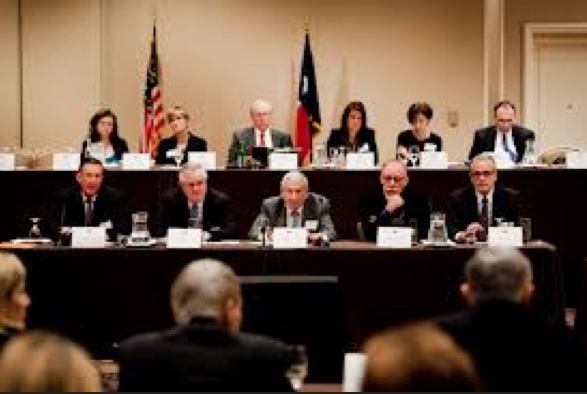 The recent decision to rename the Foundation as the “Texas Cancer Coalition” was, by Stevens’ own admission, an attempt to rebrand the Foundation and put some distance between its current efforts and past missteps. However, it appears that the decision to rebrand the CPRIT Foundation may have been what prompted lawmaker to pursue a new investigation. Agency leaders said they were blindsided when the CPRIT Foundation told them last week how the nonprofit would close and re-brand under a different mission. “I was shocked that this was being told to us as an afterthought,” said Kristen Doyle, the general counsel of CPRIT. This move, as well as a rising concern over the perceived lack of planning on how to disperse the CPRIT Foundation remaining funds, led state investigators to express “serious legal concerns” over the matter, prompting their new probe. The opening of this new investigation comes at an extremely inopportune time for CPRIT proponents, who find themselves in the middle of formulating new compliance and transparency reforms for the cancer research-funding organization that must be passed before the end of the Texas legislative session. A recent set of proposed changes to the Foundation from the CPRIT Oversight Committee had already sought to significantly curtail the organization’s operations. Now, however, with the privately-funded Foundation closing down, it remains to be seen how CPRIT will be able to continue to attract high-profile talent for its executive staff that can help the organization thrive in the future. With its marred reputation and the inability to bolster executive pay — not to mention the significant reforms being proposed that would limit the organization’s ability to fund research and start-ups, CPRIT may re-start once again, but never be the cancer research-funding juggernaut it once was.